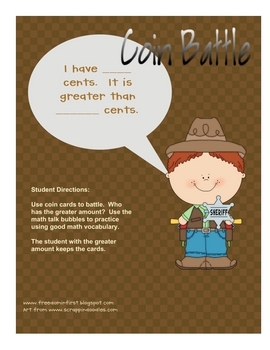 Coin Battle is a partner math game I created to use with Math Work Stations. 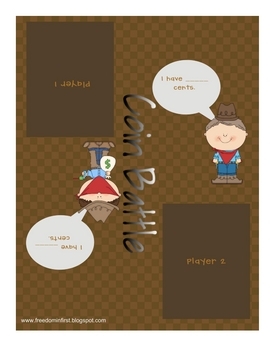 This game includes a game board and math talk cards to guide students to use academic vocabulary while playing. Use coin flash cards to play.